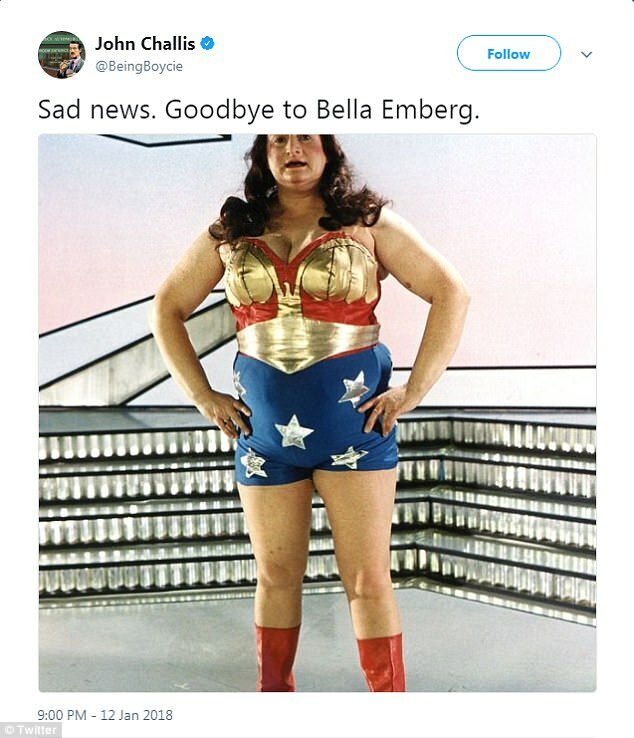 Tributes have poured in for British actress Bella Emberg, who passed away yesterday aged 80. 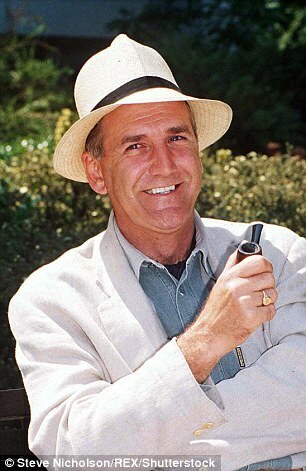 Former co-star Russ Abbot led tributes to the comedy actress. 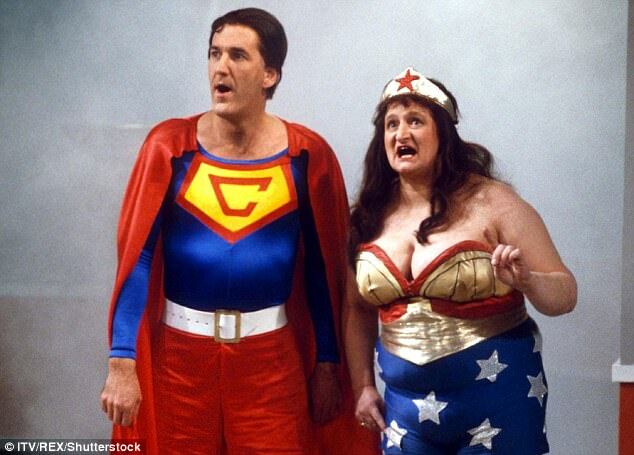 He described Emberg, who appeared as Blunderwoman on The Russ Abbot Show, as a 'huge comedy talent' and 'a woman of immense warmth and generosity'. Abbot joined former co-star Les Dennis and other prominent personalities including comedian Paul Chuckle paid tribute to the legendary actress. Emberg had just recently finished filming for In The Long Run, a Sky One comedy show created by Idris Elba. Abbot, 70, said: 'It is with a heavy heart that I heard the news about Bella. She was my leading lady throughout most of my career. 'She was not only a great sport but a huge comedy talent. A genuinely funny woman, but most of all a woman of immense warmth and generosity. I count myself very lucky to have worked alongside her. 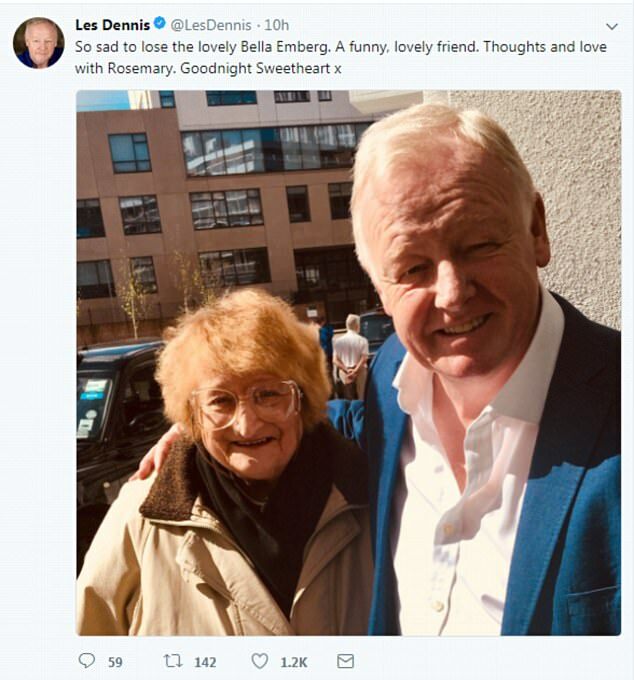 Les Dennis, who appeared on The Russ Abbot Show, shared a picture of himself with Emberg on Twitter, saying he was 'so sad' to lose a 'funny, lovely friend'. Paul Chuckle who performed in pantomime with Emberg, said he remembered her as 'the funniest fairy ever'. 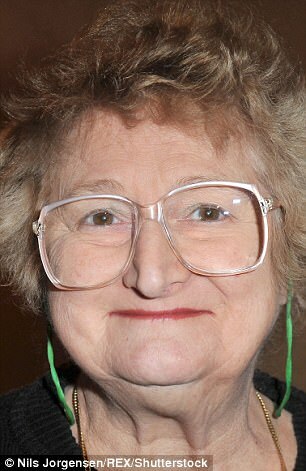 Charlie Hanson, one of the producers for In The Long Run, said Emberg was a 'lovely and funny woman' and a 'brilliant' actress. Yet it was her stint as Blunderwoman, the comic sidekick of Abbot's Cooperman in the 1980s, that she will be best remembered. In an interview last year, she admitted despite the plaudits that came with the job, it also became a burden.